SPX: The market gapped up (AGAIN) and finished submicro wave (1) at 1130. 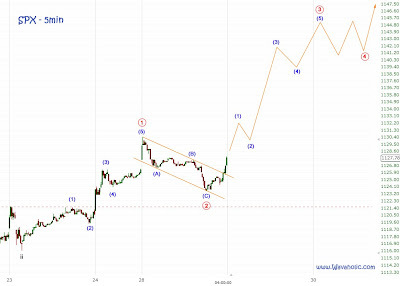 The current consolidation should be wave (2). A drop below 1123,5 would invalidate my short term count while a new high would very likely confirm it.